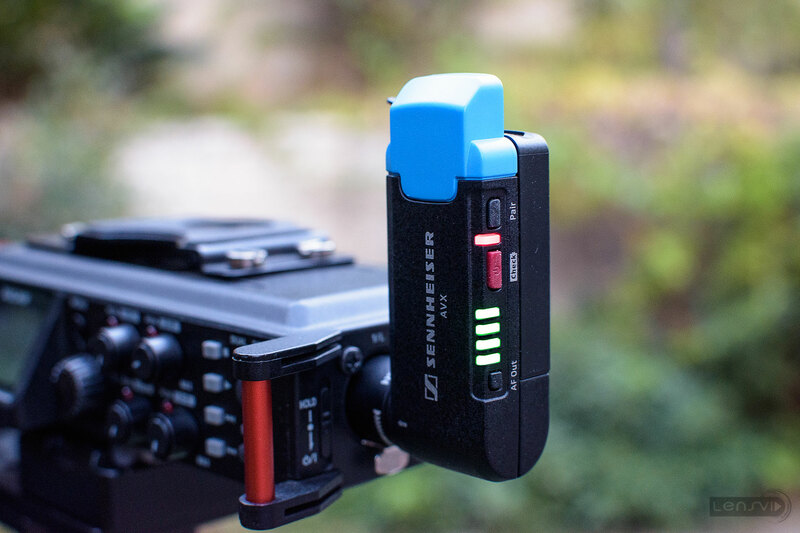 During our recent stay in Berlin we had a chance to receive and be one of the first websites in the world to actually test a production unit of the Sennheiser AVX wireless microphone system. The following is our impressions after several weeks of using the system. 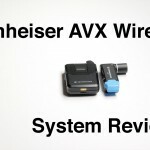 We have to start with a disclaimer – we are not sound engineers and for us the AVX was our first look at a wireless microphone system, we never used the very popular G3 although before we began this review we talked to a number of colleagues who are professional videographers and used the G3 for years, asking them about what they liked and didn’t liked about the system to get a better understanding of what currently exist in the field. 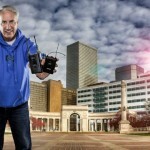 Wireless microphone systems have been around for years, some of them requires licensing (depending on the model and country you work in), others requires the user to choose specific frequencies and change them to avoid interference and in general they tend to require at least some level of expertise and attention. 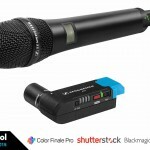 With the AVX (announced earlier this year at NAB 2015), Sennheiser wanted to bring to the market a system that will be exceptionally easy to use – basically plug and play with minimum control – something that even people with minimal technical knowledge can operate easily and get high quality sound. This also explains who is the target audience of the system and how it relates to the G3 series. 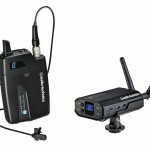 Basically the G3 will continue to function as the professional level wireless system, intended for sound serious sound and video professionals who demand full control over their frequencies, extended range and more, while the AVX is designed for either avid enthusiasts or the type of run-and-gun videographers who don’t have the time to mess around with complex sound systems and need simple, good and reliable wireless sound system that just works. Creating this type of plug-and-lay wireless system might sound simple enough but creating the technology that can do this which will work each time in almost any environment with a single press of a bottom is no simple feat, and since so far all of our videos were done using a wired microphone that has much less risk of failing – we were not sure what to expect when we planned to record 3 different videos in Berlin using the AVX (including both the Nikon D7200, Syrp ND filter reviews and the AVX review itself). 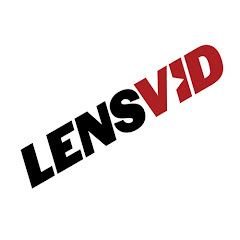 The following is based on our experience with the AVX – both in Berlin and later on back in Israel over several more weeks of use. 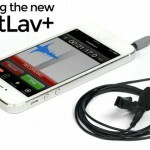 0:32– 06:23 – a look at the lav mic and reviver. 06:24 -7:48 – the Audio-Technica AT899 and the AVX ME-2. 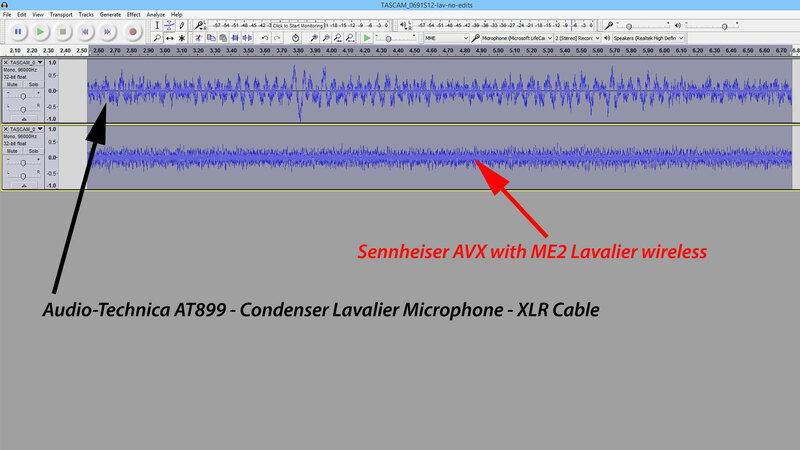 7:59-12:45 – AVX handheld unit (recorded in a pretty noisy environment). 14:05- 15:54 – indoor and outdoor range tests. The AVX has several components – the first is the transmitter (for the lav unit). This one is fairly small (7×6 cm or close to 3×2 inches). 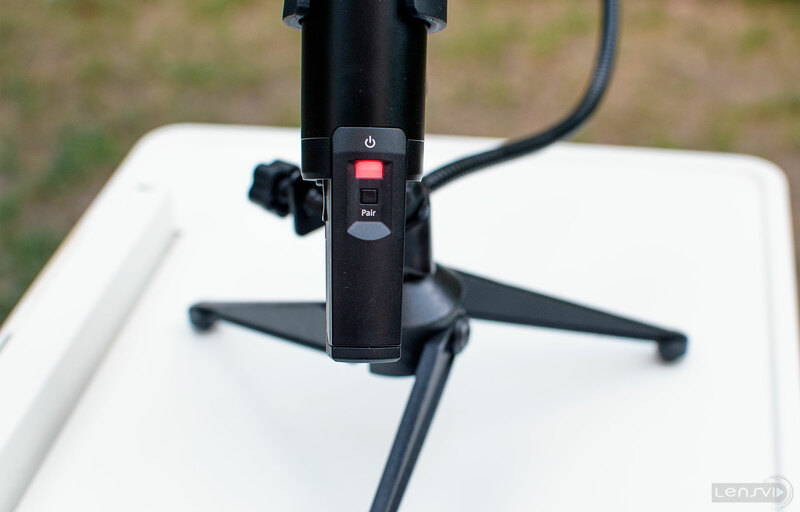 It has a 3.5mm lav mic input which fits screw type microphones from Sennheiser, we received the less expensive (and probably more popular) ME-2 lav mic, but for a little bit extra you can get the more sensitive MKE-2. Talking about this lav, the capsule is pretty small but from some reason (probably to improve wind resistance) the foam it uses is pretty large – making the entire unit just a little bit bulky – it would be nice if Sennheiser would find a way to make the unit with the foam smaller. 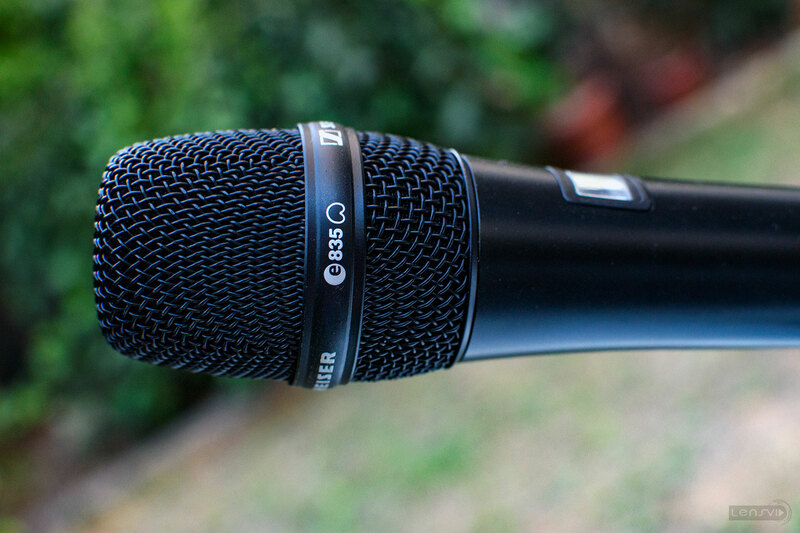 Another thing which we wish Sennheiser would improve is the clips for the mic. It is a pretty standard one but if you want something that can work on T-shirts and maybe dresses as well we would much prefer a magnetic clips (which Sennheiser as well as other microphone companies sell but it doesn’t come with the unit, sadly and for the price we think that it should). We used the magnetic clips from our existing Audio-Technica AT899 which comes with quite a few clips types and it worked great. Getting back to the transmitter, it has 3 bottoms – an on/off bottom, a pair bottom (for pairing it with the receiver) and a mute switch on the top. It also has a small display which shows you the pair mode and battery status. The display is typically O.K. in bright sun however the viewing angles are sometimes not that great due to reflections. The general build quality of the transmitter is great and it certainly feels like a robust unit that will last for a long time (and the fact that you can replace the microphone means that even if it will eventually wear out – you can replace or upgrade it and still keep the more expensive transmitter – definitely a big plus in our book. Moving to the receiver – this unit is really what should sell this system – at least when it comes to design. It is really tiny – in fact it is so small that you simply stick it on the side of your field recorder (we use the Tascam DR70D which is pretty awesome for the price) and it only increase its width by 3.5cm/1.5 inches) and can change the angle of the built in antenna so that it won’t interfere with other XLR connected cables/units). Apart from the small form factor, the receiver has 3 bottoms – an on/off (red) which also functions as battery test bottom (pressing it will light the 4 small lights below it in green – each bar is about 1 hour of battery life). The second is a pair bottom (for connecting the unit with the transmitter) and finally there is a lower bottom marked as AF out (we are not exactly sure why) but it will basically show and control the gain level (out of 4 levels), more on that later. Both the transmitter and receiver have li-ion batteries and can be charged while powered using a small micro USB connector (on the top or bottom depending on the unit). 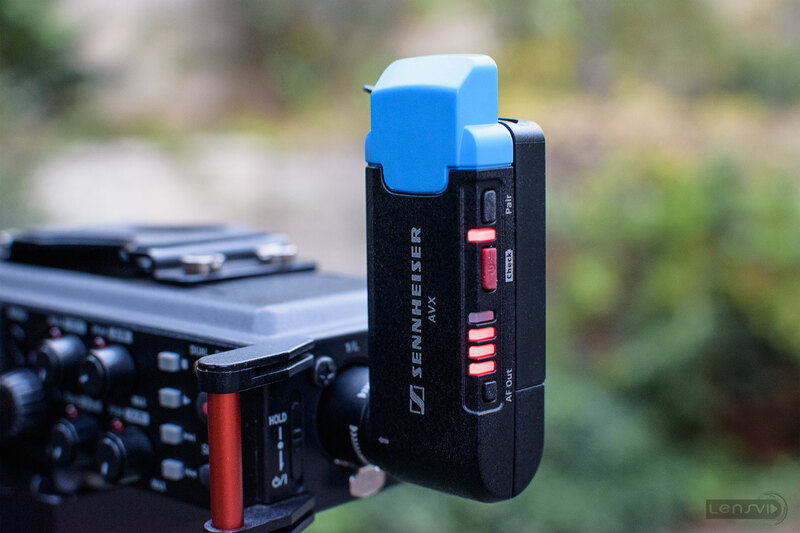 This is extremely useful in our experience – especially for the receiver which we connected to our USB battery on our camera cage which also powers the DR70D field recorder. This 13,000 mAh battery (by Anker – also great by the way), can power both units together for countless hours (it basically almost never runs out of power in our experience). Besides the lav transmitter there is a second type of transmitter which works with the receiver an it is found on a handheld microphone. 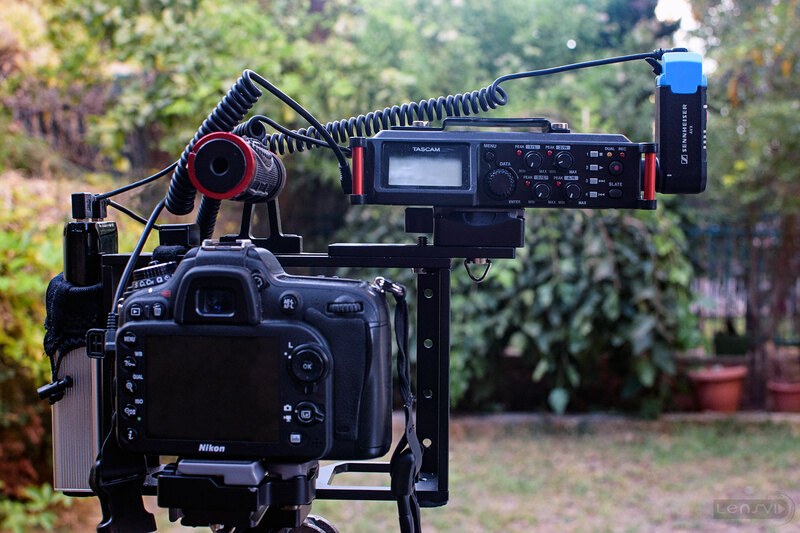 Now the AVX is sold in different versions in different countries – in the U.S. you can buy a kit with both the lav unit and the handheld mic (plus the receiver of course) or you can buy just any two parts. We got all 3 for review. The hand-held microphone (which is called AVX-835 Handheld Mic Transmitter) is pretty large physically (about 27cm or 10.5 inches) it is also pretty thick although not something which is too much for our relatively small hands to hold comfortably. It is made out of metal, it has a li-ion battery (which is charged via micro USB but sadly only from a part which is inside the microphone so you can’t charge it on the go like you can with the two other units – this is something that Sennheiser can change in the future by repositioning the USB connector to the outside of the battery so that you can connect a cable to the microphone when it is working). The AVX-835 that we received has only a pair bottom and no on/off switch (you need to physically remove the battery to turn the unit off). This seems strange to us so we talked to Sennheiser about that and they explained that this is so that users who are given the mic will not turn it off by accident. The company has a sub-model with an on/off switch called KM AVX-835S-3 (the S is for switch) – we would highly recommend that you get this one unless you know that you are going to give the unit to inexperienced people who can accidentally turn it off. Important update: Talking to Sennheiser they explained to us that both models actually have on/off buttons – all you need to do is press the small red/green light for a second or two (we somehow missed that). There are two versions of the handheld mic for AVX at the moment – the e-835 dynamic cardioid mic capsule and the MD42 Omnidirectional one. They cost the same but have a different capsule which records sound in a different way (the MD42 records sounds from the sides more than the e-835 which we have used – you can see a demo in the 2’nd video Sennheiser made at the end of this section – we highly recommend watching all 3 videos if you are planing on buying the AVX). All units have very small bottoms which are recessed. This is done so that you won’t be pressing any of the by accident. Although we understand this and for the most part the units don’t require a lot of bottom pressing (see next section for more on that), it can be annoying – but this is the price you have to pay for avoiding accidental presses we guess. Another point worth mentioning is that all of the AVX units work wirelessly with AES 256-bit encryption, so that all your communication is encrypted in case you are working in an environment with other transmitters/receivers. When a company comes up with a relatively complex piece of hardware claiming it is plug-and-play or one click to set-up or any of the rest marketing hype talk we are the first to be sceptical. Even more importantly, before we got the AVX we didn’t have a lot of experience with wireless sound systems and we were just a little bit fearful that we will run into problems that we will not know how to solve. Well, we are more than happy to report that all of our fears have now gone to rest as the AVX proved to indeed be a true plug-and-play (or should we say plug, turn on, pair once and play) system. Only once did we have an issue with a signal that from some reason (we are still unsure what it was) didn’t get into our recorder from the mic, but in all likelihood this is something that we did wrong as this never happened again. Pairing is a really simple process, turn on the unit (or in the case of the handheld unit push the battery inside) and press the pair bottom on the mic and the receiver and after the light blinks for a few seconds it turns green and you are good to go – it is really that simple. You have nothing to set in terms of frequencies (the unit uses the 1.9GHz frequency which is far less used by wireless devices compared to 2.4GHz – we will talk about this in the next section) and basically nothing else to set up – maybe apart from the gain level on the receiver. The gain level is something that from talking to G3 users we understand has been missing from that line of products for some reason but does exist on the AVX receiver. One click on the AF-out bottom and you can see the existing setting (you have four lights), another quick press and you can switch between 4 gain steps. This is really useful and a very welcome addition to the AVX. Our only criticism is that for us at least with the Tascam DR70D 1 and 2 seemed to be a bit too low and 4 was way to high. 3 was the only O.K. level however it would have been nice if there was another level between 3 and 4 to choose from. Of course this is probably true for our specific setup and you need to remember that there are many ways to get the same sound level (but not necessary the same quality of sound which is something that we shall talk to in the next section). 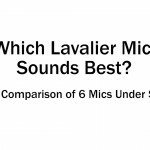 There is also a difference in levels between the lav mic and the handheld unit so you will probably need to play with your recorder (or camera) sound settings when you switch between the two. This brings us to another point – although we really hoped that the receiver can work with both microphones at once – this isn’t possible with current technology (this would have been extremely cool and very useful). We can think of several reasons what this can’t work at the moment but regardless of the reasons, this means that if you want more than one mic at any given time you will need another receiver – luckily they are small (although far from inexpensive – selling a kit of two sets of transmitters/receivers at a reduced cost might be an answer from Sennheiser). 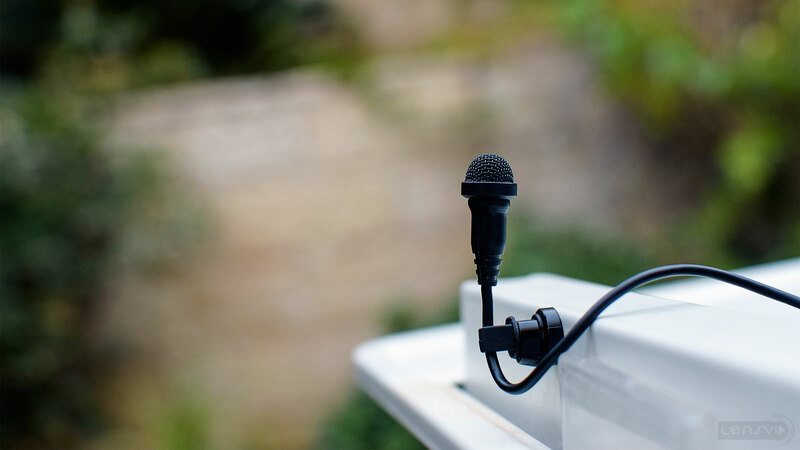 Getting back to the unit – if you want to switch between the lav and the handheld mic you will need to re-pair the transmitter and receiver (which again is quick and painless process which takes a few seconds). There is even a way to check which unit is currently paired to which other unit (you can see this in one of the Sennheiser videos above). As you can see in the video that we made above, the range of the unit seemed to very impressive in our testing (for G3 users this might not seem to be that long but to be honest if you work with the unit as a videographer and not purely to record sound at a distance – i.e. 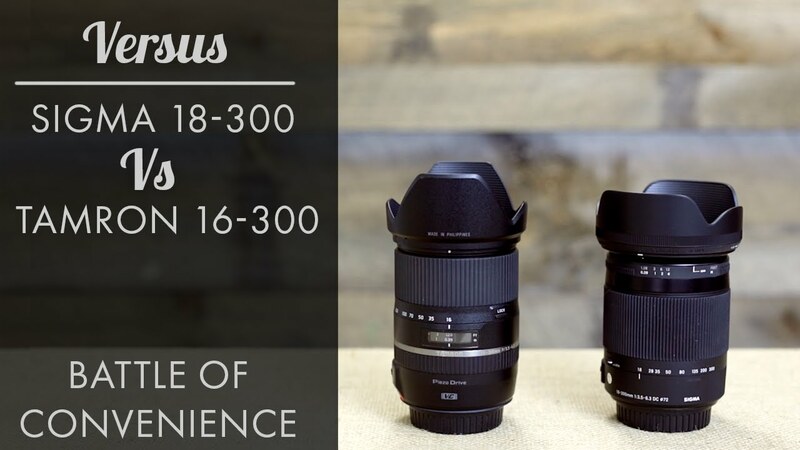 you actually have the receiver and the camera at the same place when shooting and recording your subject – the AVX has way more than enough range). Basically we found out the you can get close (and in some cases over) 50 meters or 150 feet or so in a line-of-sight open space outdoor situation and still get a good signal. Indoors this is shorter obviously (probably 10-20 meters or 30-60 feet – depending how many walls, doors, windows etc. you have in the way and what type). We tested the unit in various ways including a very demanding test where the receiver was outdoors and the transmitter was in a close room (and closed door) inside the house on the second floor (physical distance was probably close to 15 or 20 meters / 45-60 feet). The most difficult test was from a shorter distance of under 10 meters but was done from the outside and into a reinforced concrete room indoors with a have metal door closed – we were very surprised that the system worked even in this extreme conditions. Interference is a difficult topic. 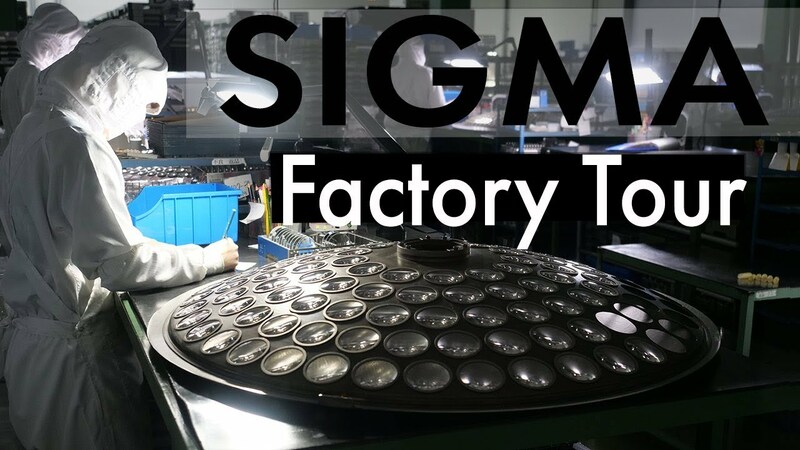 No one can test every possible factor to see how the unit works. We tested in normal indoors and outdoors conditions, we have a WIFI, a smartphone a microwave a cordless phone (not a DECT one but we hope to get one soon for testing and update as they could be working at the same 1.9GHz frequency) and a few other devices. Nothing seemed to make any effect on the AVX. You should keep in mind that baby monitors and maybe also some communication devices could have an effect although the AVX is designed to bypass these problems automatically. Again – we didn’t encounter any of these issues in our testing. Moving on to battery life, as we have mentioned all 3 units are li-ion battery powered and can be charged using micro-USB connector (the handheld unit not on the fly though). The receiver has the smallest battery which is good for 4 hours – to us this wasn’t an issue at all as this unit was almost always connected to our USB battery on our cage. The lav transmitter (called AVX SK) has a much more powerful battery with up to 15 hours (we stated only 8 hours in the video which is wrong) and from our experience you can work for several days with it without charging. The handheld unit also has a very powerful battery which is said to be good for up to 15 hours (we never used it for so long on one go) but since our model had to be cut out from the battery to turn off – leaving it on drained the battery (although slowly) so we had a few times when the battery did run down after we forgot to detach the battery. 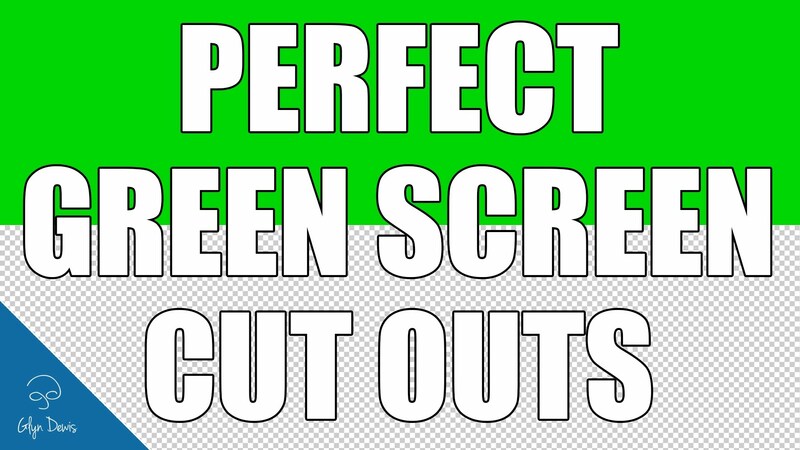 Before we go on to talk about sound quality one last thing about the power options. Sennheiser integrated into the AVX a switch off via phantom power mechanism. Some users thought by mistake that the phantom power from their camera/recorder can power the receiver – so no – it isn’t powerful enough (but a USB battery is – as we mentioned). 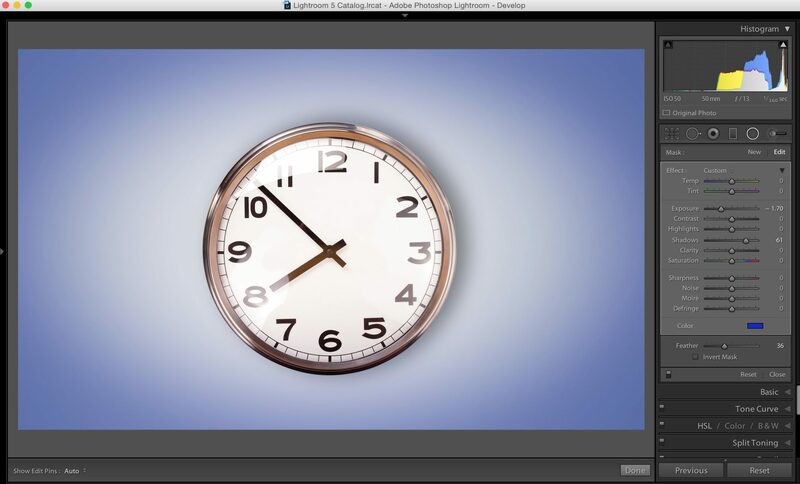 You do need to remember to turn the phantom power on – on your device so that when you turn of your camera or recorder the AVX will turn off as well. Mind you that in our testing the receiver did turn off (after we remembered to switch on the phantom power on the DR70D) but the transmitter went into some sort of sleep mode and was not turned off completely in the same way. Finally we get to sound quality. We shall start by stating that we are not sound engineers and our general background is in photography and not videography (and surly not sound) so take everything that follows as it is and make your own conclusions based on the sound that you can hear in the video (all of it apart from some of the testing of course) was recorded on the DR70D with both the lav and handheld AVX units (at least in one outdoor scene there was a very noisy air conditioning unit and some children in the background that we could not avoid). 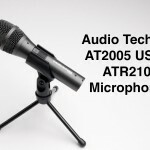 In our testing the sound quality seemed better than out own Audio-Technica AT899 XLR wired microphone (again connected to the DR70D). There is simply less noise which we think that you can see in this waveform graph as well. Do keep in mind that there are many ways to get the same audio level with the DR70D and the AVX and the way we configured ours might not be the most ideal (we are still learning this part which is very important) and doing testing, as there are between 3 and 4 different options you can control the gain level (one on the AVX and 2-3 on the DR70D). 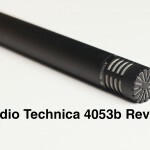 As for the handheld unit – we had only a Takstar PCM-5100 condenser microphone to compare it to (this is a much less expensive unit although for the price it is very decent). Here as well the AVX (e-835) showed a much cleaner signal. In our month+ of testing the AVX so far it performed exceptionally well. There was only a single time when we didn’t get sound through the system (and we are pretty sure that we have done something wrong as this was very early on and it never happened again). The simple, straight forward and very quick set up time of the system, plus it’s wireless nature reduce long minutes from our set up time and made our lives much simpler (try to move when you are physically connected to an XLR cable – even a relatively long one). In our testing both the sound quality as well as the range and the lack of any interference of the AVX proved to us that Sennheiser deserves its title as one of the best sound equipment manufacturers around. We especially liked how simple and user friendlily the system is – you really don’t need to know almost nothing about sound to make it work – to borrow a photography example – think about the AVX as a high end point and shoot – just press the bottom and you get good results (at least as long as you are using a decent external recorder like we have been using). No system is perfect (although in our opinion the AVX isn’t that far) and there are a few things that we would be happy to see improved maybe in future versions of the system (all relatively minor we have to admit). First, it would be nice if the receiver had 5 gain levels instead of 4 with another step between the current 3’rd and 4’th steps (the difference between those is just too big). 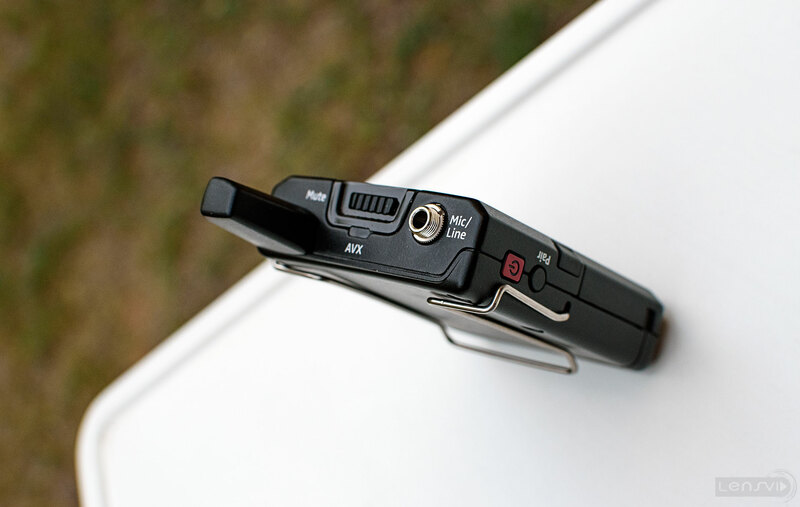 We also don’t really like the lav mic (ME-2) clips that comes with the unit – with our Audio-Technica AT899 microphone (a much less expensive unit) we got a whole host of options for connecting the unit including a magnetic clips (which works with the ME-2 by the way). For the money, Sennheiser should have included more options (and especially a magnetic clips which we feel is almost a must for anybody who doesn’t have a dress shirt/jacket). Although we don’t like the recessed bottoms on all of Sennheiser devices we do understand the logic of using them (so you won’t change settings by accident), still they can be a pain to use on occasion. It would also be really nice if the handheld unit would have the option to charge on the fly from USB just like the transmitter/receiver can (which can be good if you are doing long blogging sessions with the mic. Finally lets talk about the price. 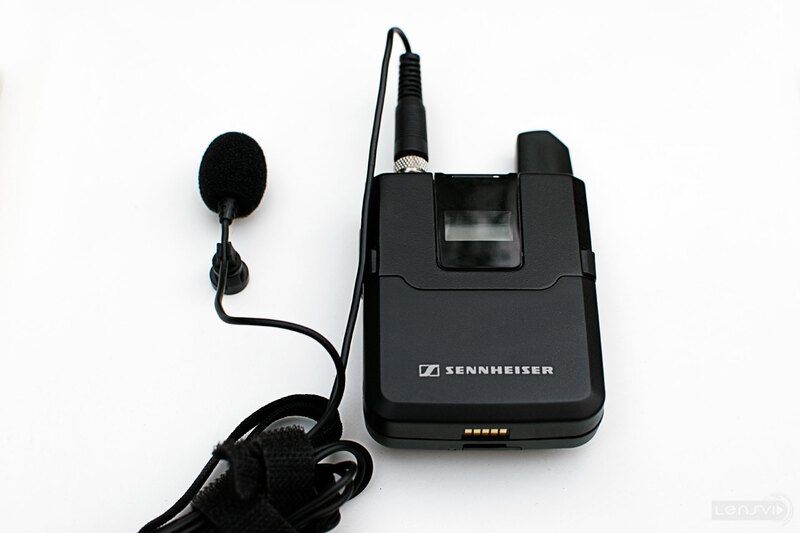 Sennheiser is considered a premium brand and its products are never inexpensive. The AVX currently sells for $1300 for the full kit that we have tested (with the ME-2 and the handheld mic), $1050 for the transmitter and receiver with the more advanced MKE-2 lav mic and around $900 for the same kit with the basic ME-2 microphone. We feel that the AVX should have been price at the same level of the G3 (which starts at around $630) or even slightly below it in order to tempt potential buyers who are currently reluctant to invest this type of money in a relatively complex professional system. Still, price aside, the AVX is a tremendously potent system with very high capabilities, great sound quality, very good range, all wrapt inside a super easy to use but very robust body which we highly recommend for anybody who can afford it. Range above the official specs (outdoors). Free from any interference . Very good battery life and super useful on the fly USB charging for lav transmitter and receiver. 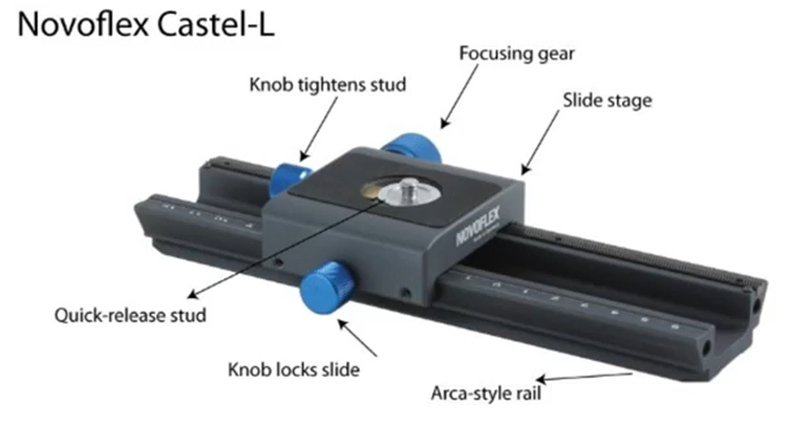 Plug-and-play – extremely easy to operate (works out of the box). Recessed bottoms – hard to press (but help against accidental presses). Another gain level (between 3 and 4) could help. A smaller foam for the ME-2 lav. On the fly USB charging for the handheld mic could be useful for bloggers. Magnetic clips should be included in the kit. Lower price – currently priced above the professional G3 series.